Happy Mother's Day to all mothers out there! The rest of you can have an OK day. I experimented with matches and lighters today, as you can see. I tried to get a photo of a match by itself, and then I took some pretty cool shots of a lighter lighting. In the end, a lighter lighting a match looked the coolest. 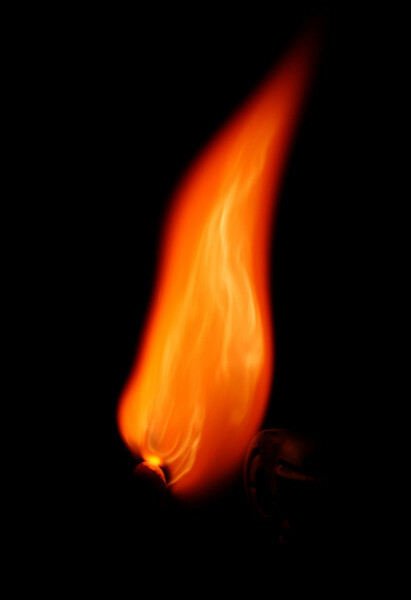 This shot had by far the most detail in the flame, which is mostly because the match had just barely lit and therefore the flame wasn't very bright yet.